Our firm is not just devoted to protecting and preserving the rights of clients all over Michigan and Illinois. We are also committed to making sure you understand your legal rights and obligations. Using our knowledge and expertise, we have created websites dedicated to our practice areas. These websites form the Sinas Dramis Information Network. We realize the law is not always as straightforward as it should be. In order to help you know and understand the law, each of our websites breaks down the most important aspects of the law in each particular area, addressing frequently asked questions and providing you an opportunity to contact our attorneys. What is the Michigan auto no-fault law? What are no-fault PIP benefits? 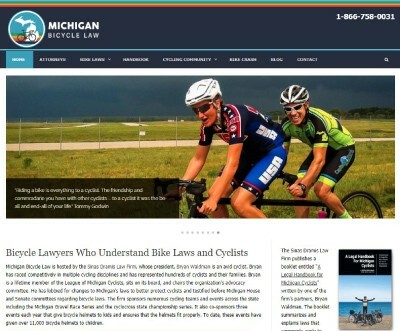 If you have been injured in an Illinois or Michigan bicycle accident, you need an attorney who not only knows the law, but who also understands what you’re going through. Many of our bicycle accident lawyers are avid cyclists. Choose the Sinas Dramis Bicycle Law Group to fight for your rights. Let our Michigan family law attorneys help you with your domestic relations matters. Our passion for family law, experience in the field and understanding that domestic relations matters can be difficult and emotional, make us the right choice for you and your family. Visit our website that explains numerous Michigan family law issues. Does your marital estate involve complex issues? How will marital property be divided? 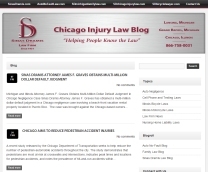 Our firm has represented persons who have suffered personal injury in Chicago and beyond. Our downtown Chicago office is staffed with experienced personal injury attorneys licensed in both Illinois and Michigan. Turn to our Chicago personal injury team to protect your rights and fight for the justice you deserve. Learn more about our Chicago injury practice. Since 1951, our Lansing personal injury lawyers and Grand Rapids personal injury attorneys have represented hundreds of Michigan residents in their slip and fall, wrongful death, dog bite, traumatic brain injury, spinal cord injury, amputation and nursing home abuse cases, among other claims. Learn how we can help you get the results you deserve. 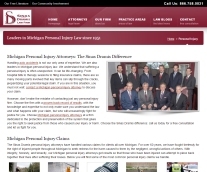 Visit our Michigan personal injury website.